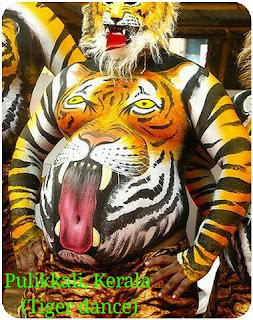 Musings 'n scribblings of a philanthrope .. : A Tourist Guide to Kerala - Where to visit and what to do in Kerala ? Most tourists agree with National Geographic Traveler "10 top places of the world to visit in one's lifetime", when they visit the only Indian place in the top ten - Kerala. Legend has it that when Parasuraman threw his axe to the sea, water cleared out till the place it landed, and there out of the sea was born Kerala. 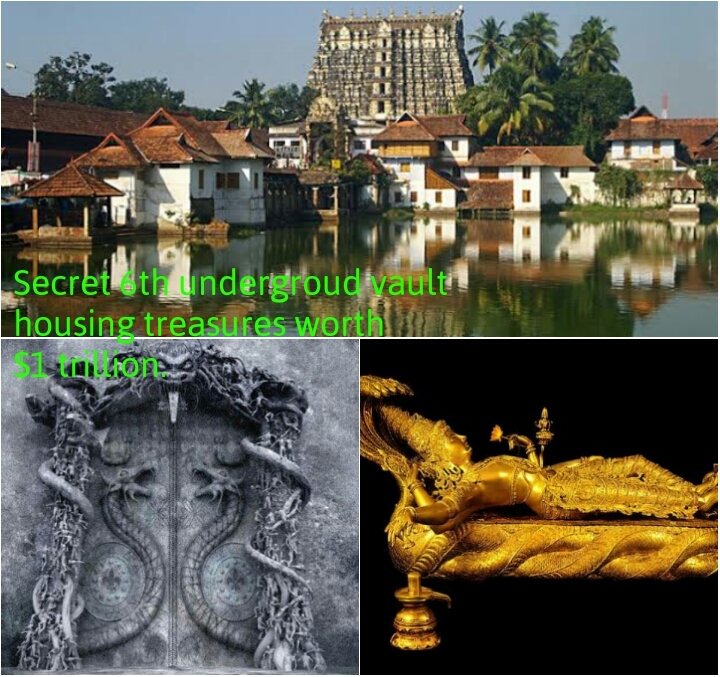 Here is a short description of important historical, cultural and religious places in Kerala. 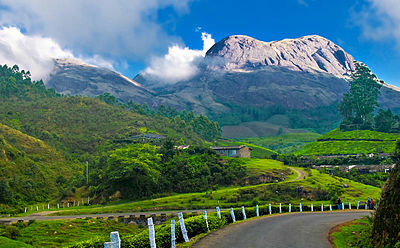 Kerala was part of the famous spice route of 200 BC and is known for it's friendly people, greenery and scenic beauty. Kerala has three ancient kingdoms or regions, Malabar (north), Kochi (central) and Travancore (south). The official state of Kerala came into existence in 1956. Till then Kerala was only Tirukochi, Malabar came under Madras Presidency. 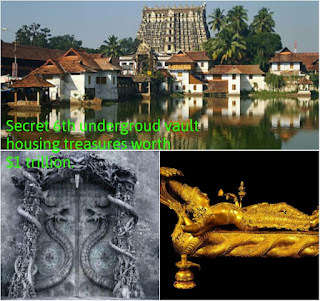 Cranganore (ancient name Muziris) in, central Kerala had trade with Romans, Arabs and Chinese from around 100 BC in spices and Ivory, part of the old the spice route. 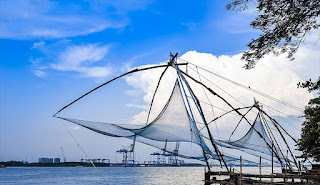 Then on silting of Cranganore port because of heavy floods in Periyar river around 1400 AD, trade shifted to north in Calicut and south to Kochi, Alleppey and Quilon. There are two hill stations, Munnar (1500 m above MSL) in central east Kerala and Wayanad (2100 m above MSL) in North Kerala. Both are great places full of tea estates and spices plantations. ..
Alleppey and Kochi are ancient seaside cities and ports and have famous backwaters and houseboats for overnight stay. 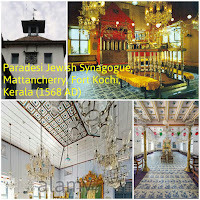 Bolgatty islands in Kochi has the Kochi royal palace. 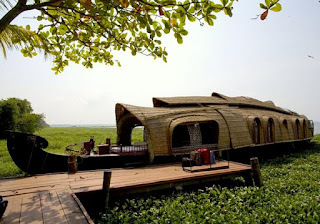 Kumarakom on the banks of the famous Vembanad lake in central east Kerala near kottayam is a favourite tourist spot for boatrides. Beatles visited here decades back in the 60s. Down south in Trivandrum is the world famous Sri Padmanabha Swamy temple, richest in the world with underground treasures of diamonds, gems, gold and precious stones (got from the exploits of the first war of the Travancore King Anizham Tirunal Marthanda Varma with the Dutch at Colachel near Trivandrum) worth a trillion dollars. 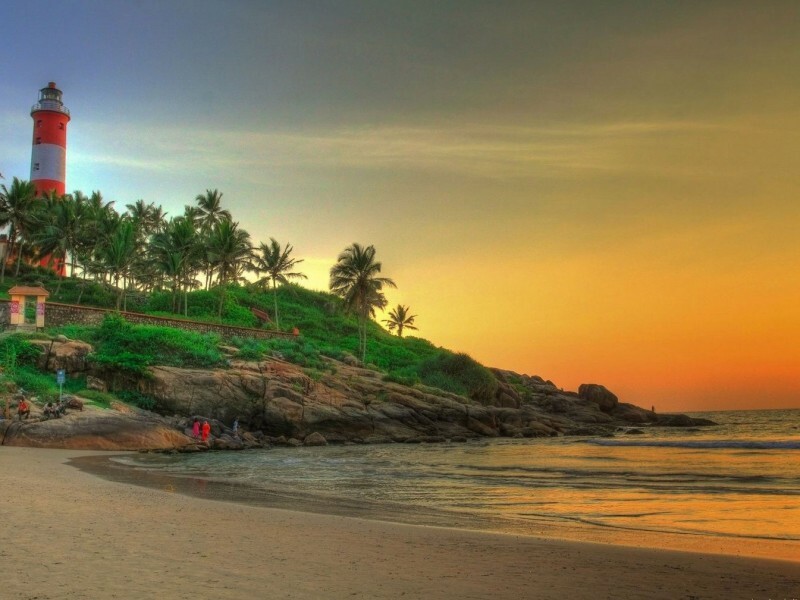 Kovalam beach is a world famous beach near Trivandrum. Protected from three sides, this is one of the best beaches of the world made popular buy the hippies on their way to Srilanka in the late sixties and seventies. Regent Maharani Sethu Laxmi Bai of the Travancore royal family building her beach resort, the Halcyon castle here was the turning point in Kovalam's timeline which brought international fame to this place. 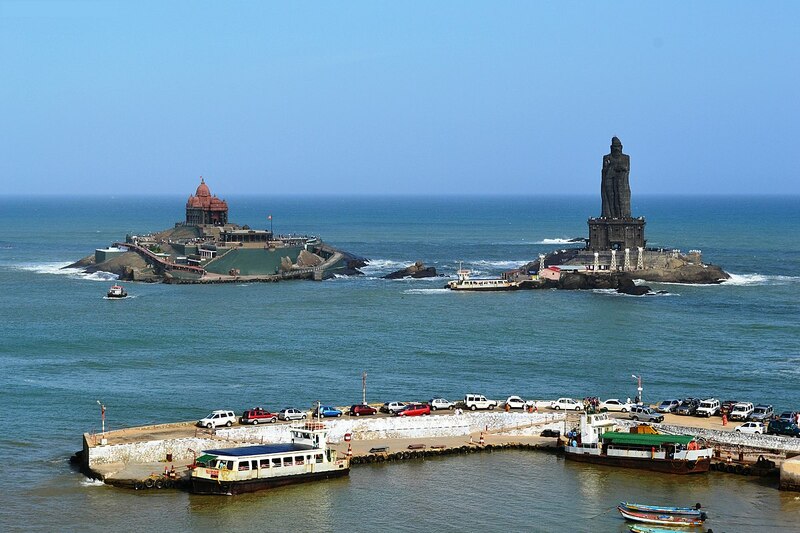 South of Trivandrum, in Tamil Nadu is Cape Comorin, the point where the Bay of Bengal and Arabian sea merge with the Indian ocean. 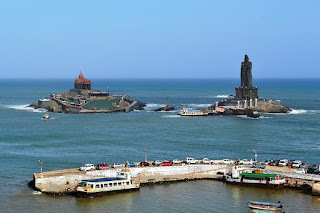 The Vivekananda rock and the statue of Tiruvalluvar are the chief attractions at this place, besides the early morining sunrise and late evening sunset. This is the meeting point of the Arabian Sea to the right, the Indian Ocean, straight in front and the Bay of Bengal to the left. While Kochi is the comercial capital of Kerala, Trivandrum is the political capital and Trichur the cultural capital. Onam which is celebrated as the harvest festival comes by end of August / September and is celebrated by all Malayalees irrespective of casre, creed or religion. Trichur, the cultural capital of Kerala has the Kerala Kalamandalam, the University teaching performing arts. 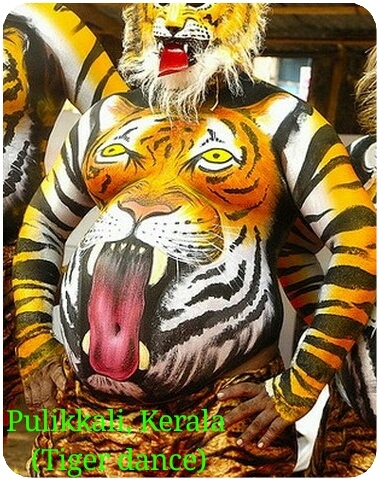 On the fourth Onam day the famous Pulikali (tiger dance) is played. 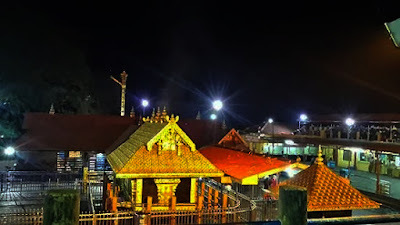 Trichur also hosts the famous Trissur Puram during April May and is one of the great places in Kerala to be in to witness the fireworks and world-class percussion, elephants exchanging decorated umbrellas (kudamaattam) and the accompanying fanfare. Cashew nuts, is an important cash crop of Kerala, was brought to India by the Portuguese around 1500 AD. Cashew factories processing cashews are found mainly around Kollam in the Southern part of Kerala. Rubber plantations abound in the districts of Kottayam, Pathanamthitta and Idukki. Kochi boasts of having the world's first and only 100% solar energy powered International airport (the third largest in India). So if you are flying down to Kochi, you have already experienced the luxury of clean and green energy. Even though the three main religions are Hinduism, Christianity and Islam, Judaism came here from the first century BC. 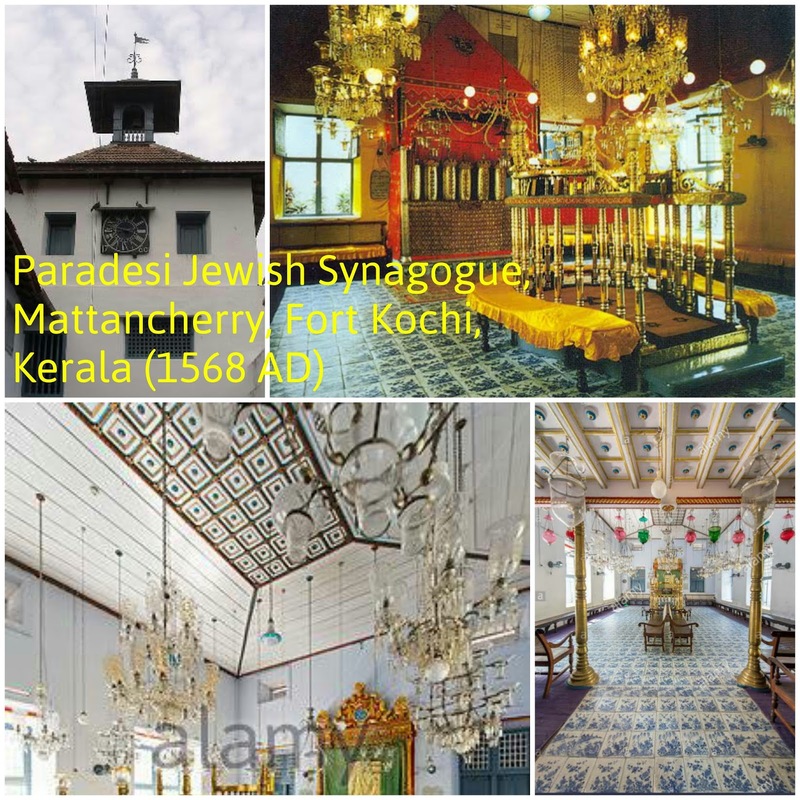 The Paradesi synagogue, established around 1560 AD in Mattancherry, Fort Kochi is the oldest synagogue in the Commonwealth countries. The Ayyappa temple, nestled among the eighteen hills in Perunad Pathanamthitta district of Kerala is a very popular devotional pilgrimage destination for Hindus across the world during the Makarajyoti festival during the second fortnight of January every year. It is supposed to be among the most popular pilgrimage centres of the world with almost 100 million pilgrims on an average visiting every year. Kerala has 100% literacy rates from 1991 onwards, the highest literacy rate in the country. Women on an average have literacy rate of 90%, men 94% because of which women enjoy a high social status. 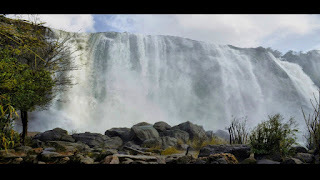 Athirapally falls, near Chalakudi, Trissur .. The standard of living in Kerala is the highest in the country (due to the heavy inflow of foreign exchange remitted by Malayalees settled in the Gulf region, Europe and US) and is equated to the state of New York in US. The highest sale of luxury brand foreign cars in the country, BMW, Mercedes etc happens in Kerala. Educational facilities are top class in the state with an Indian Institute of Management (IIM) in Calicut or Kozhikode, an Indian Institute of Technology (IIT) in Palghat and a National Institute of Technology (NIT) too at Calicut. Athirapally waterfalls near Trissur, beats Hawai in flora and fauna and is a beauty to visit in the monsoon. The silent valley in Palghat is one of the most preserved, diverse and rich ecological parks in Kerala. A concept which has failed in the most advanced and modern nations of the world, the world's first carbon-neutral village is coming up in Meenangaadi in Wayanad. 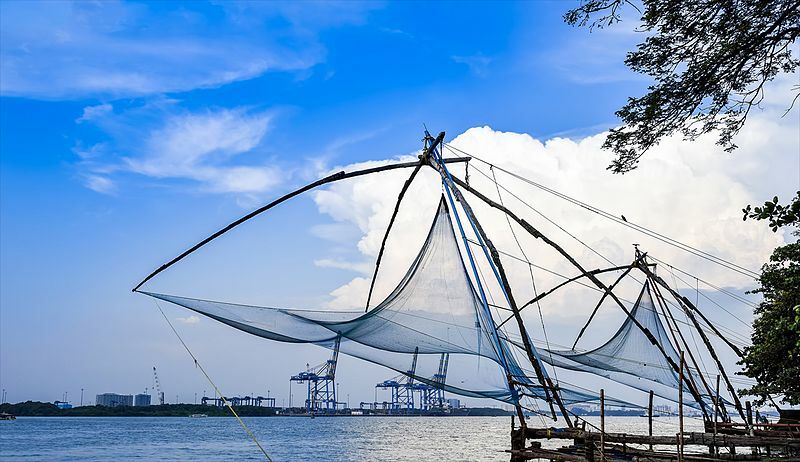 Early history of Kerala dates back to 6000 BC and is the only state in the world to enjoy a very cool, comfortable, pleasant climate, humid at times, throughout the year blessed by two monsoons, the South West and North East from June to Sept and Oct to November respectively every year. Kerala also boasts of the famous medical treatment system of Ayurveda, three millennia old and the famous classical dance forms of Kathakali and Mohiniattam. The Periyar wildlife sanctuary at Thekkady near Kumili having elephants and the tiger reserve, bordering with Tamil Nadu and the lime stone 113 year old Mullaperiyar dam are also great places of interest. Thenmala ecotourism project near Quilon is a great place to visit. Here you find tourism promoted with great facilities to tourists to enjoy the place and the pristine clear water without harming the natural ecosystem. The concept of sustainability is very much visible here. A visitor who comes to this God's own country, will never be disappointed because he indeed is visiting God's own land, blessed and nurtured for millennia !! A very informative article about our very own God's own country. Beautiful description of some of the heavenly places in Kerala! A great appreciative reply by the former Chief Secretary of Kerala is a great honour. Thank you Sir. Informative and to the point and very clear now after reading this there will be many visitors to Kerala. Cheers!